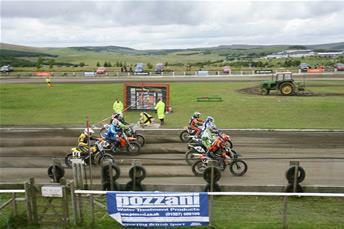 The Pozzani Silkolene Shorttrack Championship climbs up to the Buxton Speedway track in the breathtaking surroundings of the Peak District for round five of the national championship. Local hero and HM Plant Honda rider Ade Collins will want to repeat last year’s win at Buxton but Jacopo Monti is on fantastic form after the last round at Stoke. Support class's include the ever popular Redmax Thunderbikes, Arrow Engineering Juniors and mad mini bikes. It all kicks off on Sunday, August 1, with practice starting 11am and racing at 1pm. The track is at Dale Head Lane, Axe Edge, near Buxton, Derbyshire.